San Diego Center for Algae Biotechnology BLOG! 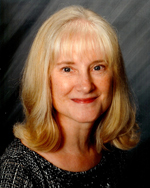 : SD-CAB Researcher Spotlight - Susan Golden, Ph.D.
SD-CAB Researcher Spotlight - Susan Golden, Ph.D.
Susan Golden is a member of the Faculty of 1000 Biology, a Fellow of the American Academy of Microbiology, and a Member of the National Academy of Sciences. In addition, she runs a lab at UCSD that studies circadian rhythms of gene expression in cyanobacteria. Golden summarizes her graduate school and postdoc experiences, how cyanobacteria are useful in the production of biofuels and how SD-CAB has shaped the direction of her research in this month’s SD-CAB Researcher Spotlight. How did you decide that studying cyanobacteria was your passion? I grew into it. I started working on cyanobacteria as a grad student. I wanted a "recombinant DNA" project, and when I started grad school in 1978, such approaches were still new and not used in most labs. I had a chance to join a lab in which the PI (Lou Sherman) had just done a sabbatical to learn basic molecular cloning methods with the idea of capitalizing on the then-recent discovery of a transformable cyanobacterium. 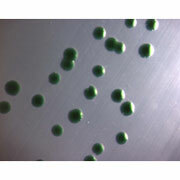 My job was to develop a cloning system for that species, Anacystis nidulans R2, now known as Synechococcus elongatus PCC 7942, with the idea of using it to discover new genes involved in photosynthesis. Later I chose to do my postdoc in Bob Haselkorn's lab not so much because he worked on cyanobacteria, but because he was researching transcriptional regulation. I had expected to change organisms and research directions, but when I got there I still had "one last thing" I wanted to do from a loose end of my PhD work, and I ended up finding interesting new directions with S. elongatus. Thus, I just continued my PhD work on through my postdoc and into my independent research lab. The areas of emphasis and technologies have changed over the years, but I'm still working on my favorite little bug, the Anacystis that I was among the first to work with genetically. Being at the right place at the right time is my forte. I literally walked into Sherman's lab, while he was on sabbatical, within seconds of his postdoc writing (snail mail back then) to Lou: don't overlook the contribution a graduate student could make to this project. How do cyanobacteria fit in with the production of biofuels? Initially cyanobacteria were dismissed as biofuel organisms because they don't naturally store carbon as neutral lipids (oil droplets) that are easily converted to biodiesel. However, cyanobacteria are easier to genetically modify than are eukaryotic algae, and they can be engineered to make designer chemicals. Many species have growth advantages as crops: filamentous forms that are easy to harvest, some fix nitrogen, and they can grow at high pH conditions that kill off a lot of invading or grazing pests. Moreover, new biomass conversion technologies are making it possible to get useful hydrocarbons from biomass without requiring neutral lipids as a starting point. Thus, cyanobacteria can contribute in many ways to the enterprise. What advice would you give to students interested in pursing research in academia? Do it only if you love it. The challenge is that you have to constantly raise money just to do your job (to fund your lab), and many people end up depending on you to provide their salaries. That's a lot of pressure. However, it is fantastic to have the freedom to choose what to study (within reason), and to see the transformation that occurs in a student from the time he or she enters the lab to when they leave (as a scientist!). I like to read good novels. I'm open to a lot of genres, but they really need to be well written, with good character development and good use of language. If you could have one famous scientist over for dinner (living or deceased), who would it be? I think George Washington Carver would be a fascinating dinner companion. How has SD-CAB helped further the success of your laboratory? Being part of SD-CAB has swept me into applied microbiology and alliances with biotech companies. I'm learning a lot, and doing more as part of the group than I would have done on my own. I'm engaging in collaborations that I wouldn't have assembled on my own. The activities and interactions, and the growing reputation of SD-CAB around the world, are all good for my research program and for forcing me to expand my scientific horizons. Amanda Herman is Ph.D. candidate at UCSD and a volunteer writer and outreach coordinator with SD-CAB. You can contact her at abherman@ucsd.edu.